Most Christians live in verse one of this passage and never go on to verse two. Want proof? Just attend a prayer meeting and notice what the majority of the prayers are. Look at any prayer list. The majority of prayers are for my second cousin’s twisted ankle or my grandmother’s friend’s head cold. Health concerns can and should be prayed for, but when they make up the bulk of our praying, I believe it shows a verse one-only attitude toward Christianity. Most Christians in the circles that I run vehemently oppose the health and wealth gospel, yet together we live it everyday. We pray verse one, but never move on to verse two. Everyone wants God’s blessing, but few want the responsibility that comes with those blessings. I once heard a lady share her testimony that she really needed a new $300 rug to put in the foyer of her home. She just had to have it, because it would complete the look in that room. She didn’t have the money for it, but surprisingly, she got an unexpected check in the mail from the IRS. She determined that God had seen her need and answered her unspoken prayer and provided for that rug. This is verse one-only theology. It is a theology that says that we can pick and choose which verses we want to use and leave out the ones that make us uncomfortable. You and I might not be as open as the rug lady, but to some extent most of us live in verse one and never move to verse two. Scripture tells us to look at our fruit as proof. 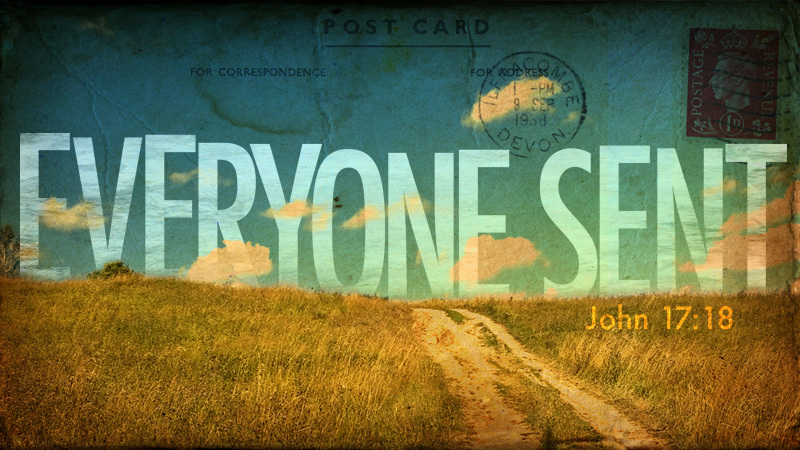 We have more than enough stuff, but how many people have come to Christ because of our testimonies? We are rich by worldly standards, but how many use that wealth to reach the nations? We are well educated, but how many use that education to think of creative ways to get the gospel to closed countries? We have unprecedented ways to communicate, but how many use social media to bring God glory (and I’m not talking about sharing trite Christian sayings)? The blessings that God gives to us are not for us to keep in a clinched fist. They are to be placed in open hands ready to distribute to the nations for the glory of God. God does not get the most glory when we hold tightly to our blessings, but when we use those blessings to help bring about reconciliation between lost man and God. All too often, God blesses man to bless the nations, but instead, man keeps the blessings and receives the glory himself as if he manufactured the blessings through his own hard work. One thing that I would like to point out in this passage that really stood out to me is that in verse two, the word “way” is singular. God blesses us so that His way would be known. There are not multiple pathways to God as many are preaching today. There is only the Way, and that only Way to God is Jesus. Through His grace and mercy, God has chosen to use you and me as his ambassadors to reach a lost world. There is no other plan that we know of! God could, if He wanted, send angels to witness, but for whatever reason He has made us the only way to get the good news to the nations. He blesses us to give us the ability and authority to accomplish His mandate. We need to regularly evaluate our life. 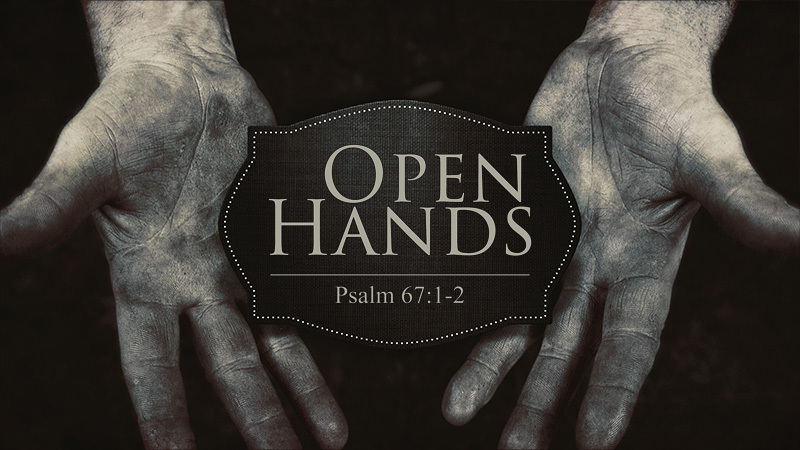 Use this opportunity to ask yourself if your blessings are being held selfishly or in open hands. Look at what God has blessed you with in verse one, and determine how you can use those more effectively to fulfill verse two. Many Christians have the notion that when they walked down an aisle, said a prayer, and were baptized that they received their Hell insurance. Many of these people live a decent life – never getting into too much trouble – go to church, have other Christian friends, listen to the latest worship music, and even give to their local fellowship. In my opinion, it is hard to determine if these people are truly saved or simply living a cultural Christianity. It is not my place to judge, because only God can see the heart. In 1 Corinthians 3:10-11, we see Paul talking about how Jesus is his foundation. He is assuming here that the people that he is writing to are believers who have initially built Jesus as their foundation. This is important for each person to personally make the distinction between simply doing Christian things and having Jesus as your foundation. There is an eternal difference between the two. Assuming that Jesus is your foundation, Paul goes on to say that we are building upon that foundation by what we do in this life. At some point in time, this passage calls it the Day, we, as Christians, will stand before Jesus in judgement. We will not be judged for our sins. That has already been taken care of by Jesus on the cross and our accepting that free gift of eternal life. Your eternity is secure. Rather, you will be judged on what you have accomplished from the time you first laid Jesus as your foundation until you died physically. 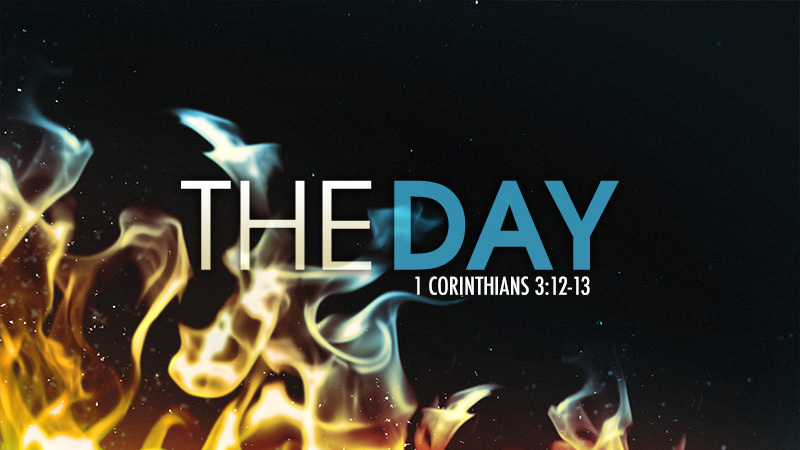 Scripture here says that He will take all of those things that you have done and throw it into the fire. There are some works that are gold, silver, and costly stones, and other works that are wood, hay, and straw. Some of your works will be worthwhile and will pass through the judgement fire. Others will be burned up and count for nothing. The key here is knowing which is which so that we can do the things that have eternal significance. The Bible clearly spells out what the gold, silver, and costly stones are. This is not some big secret. Paul, in Galatians, says that for him to live is Christ. That’s it. We live for Christ’s glory. And how do we do that, you may ask? Christ gets the greatest glory when more people are glorifying Him. Therefore, we must spread the story of His good news to all the world, so that more people will hear it, accept it, and glorify Jesus because of it. Paul had a single-minded passion to do this, and he continually built a house out of those things that will last. Too many of us are simply building out of flammable material. We live our own lives with a little bit of Christianity and good works thrown in. You might ask what difference does this make. You get to go to heaven anyways. If you read the next two verses, you will see that if anything lasts you will be rewarded. If everything is burned up, then you will suffer loss. I don’t know about you, but when I finally stand before Jesus, who gave His all for me, I do not want to be standing there with empty hands. He deserves so much more than that. Because of what Christ has done for us, we should be compelled to do anything and everything for Him, even if it costs us our lives. We should be driven as Paul was to live only for Christ and not for ourselves. It is time to break out of this mess that we call Christianity and begin to live for Christ. Not too long ago we hosted a couple who are missionaries to a country in Central Asia in our church. I had the opportunity to interview them during the morning worship service. At the conclusion of the interview, I shared the above passage of scripture with our church and asked our congregation to help me honor them. Our church gave them a LONG standing ovation for their service and work for the Lord. It was an incredibly touching moment as I watched as our church gave recognition to these two unsung heroes of the faith. After the clapping died down and we all were seated again, with tears in their eyes, this missionary couple gave all the glory to God and rightly so. I know this couple personally, and I know how humble they are, so they certainly did not expect this outpouring of love. I simply stated that we were doing what the Word of God told us to do. One of the top reasons for missionaries leaving the field and pastors leaving the ministry is simple burnout. When we lived overseas, our closest Christian, American friends lived more than three hours away. I understand how lonely it can be for our missionaries. It is only on rare occasions that they are able to come together and worship in their heart language with other believers and just talk about everyday things. Paul understood this as well, and that is why, under the inspiration of the Holy Spirit, he wrote this passage of scripture. Our church has the opportunity to partner with some fantastic missionaries all over the world. Our number one reason for participating in these partnerships is to come alongside them in their work to reach the unreached people group that they are working with. Our second reason for participating in these partnerships is to encourage them and to keep them going strong. I believe that if we can help to increase the longevity of our missionaries on the field, then we can increase the work. I tell all of our short-term teams that are heading out that I want it to be like Christmas morning when you arrive. Our teams going to Central Asia, for instance, will never be able to share the gospel to someone in their own Central Asian heart language, but they can encourage the missionaries that are there and do know the language. In verse 13 of our passage it says to regard them very highly in love. To me, this means that we should encourage them, pray for them continually, remember their birthdays, do something for them on holidays when it gets really lonely, keep up with their children’s lives, email them notes, and even go and visit them just to visit with them. You may be wondering if we actually spend thousands of dollars in airfare just to go and visit our missionaries, and the answer is a resounding yes! 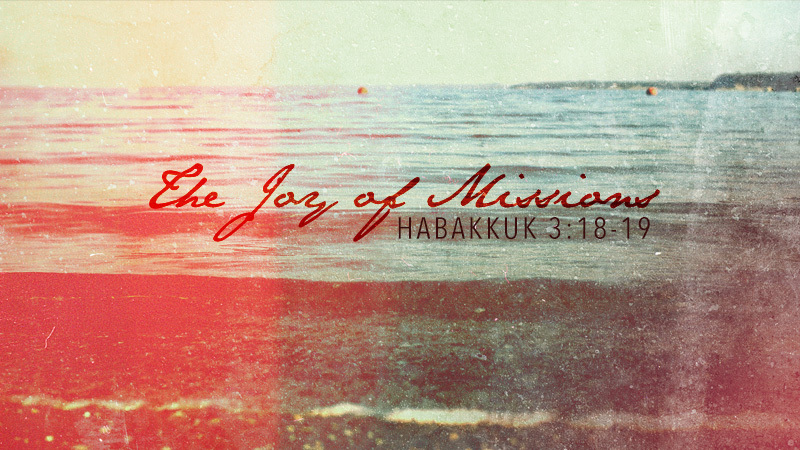 Paul tells us that we should regard our missionaries highly. In light of this scripture, what can you do to encourage our missionaries and ministers and pastors? Can you go on a mission trip to hang out with the missionary kids? Can you write your pastor an encouraging note? Can you send a gift to one of our missionaries on their birthday? God’s plan is not for lone rangers to go out into the mission field and work it by themselves, but to have His church come alongside those who are following Him to the uttermost parts of the earth and participate as co-laborers and encouragers. When Noah and his family exited the ark, God told them to be fruitful, multiply, and fill the earth (Genesis 9:1). They did the first two really well, but they completely disobeyed the third command to fill the earth. They certainly were fruitful and multiplied according to the record in Genesis 10, but instead of scattering all over to fill the earth, they found a valley in the land of Shinar and started building a city with a tall tower as the centerpiece. God came about that time to see this city and the tower that they were building. God decided to make them obey this first commandment that He had given to Noah by confusing their languages and scattering them over the face of the whole earth. 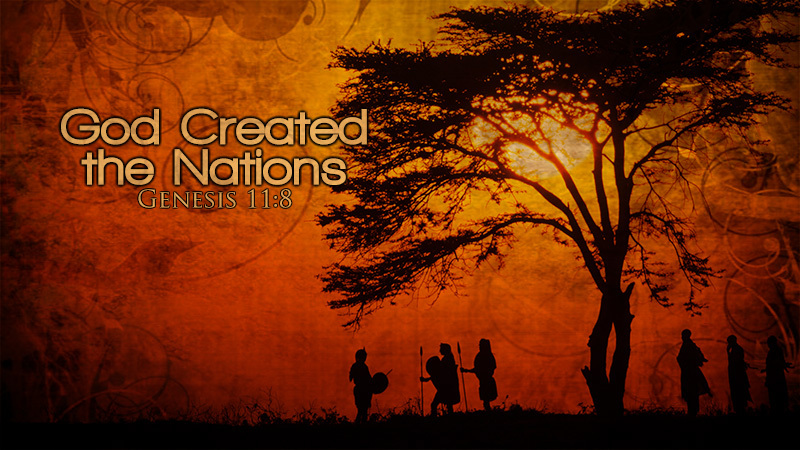 Thus we have the creation of the nations or tribes. As Christians it is important for us to remember that God created these different tribes, people groups, cultures, languages, and ethnicities. It is also His desire to see a representative from each of these tribes redeemed and worshipping before His throne (Revelation 7:9). This means that as God loves His creation, so must we. Certainly these cultures, just like our own, were affected by the Fall. They are full of sinful attitudes, sinful traditions, and sinful superstitions. But we must recognize the fact that God has called us to love them and be a witness to them, and that eventually we will live with them forever in eternity for those who follow Jesus. We tend to think that eternity will be made up of just our culture group with Chris Tomlin leading the worship. This is called ethnocentrism. This malady causes us to lose sight of anyone but those in our own culture, and in its worst form causes us to be racist. God is calling us to love the nations, not to despise them. This includes the Northern Pashtun Tribe who predominately make up the Taliban. We have made enemies of them, but God still loves them fiercely and calls us to do the same. As Christians, we are called to be in this world but not of it. This means that what we do as followers of Jesus does not always make sense to the world. One of these things is to love all the people of the world so much, that we would lay down our life for them. Christians will say that they love the Vietnamese. What they usually mean by that is that they have the best soup kitchens, but how many Vietnamese do they even know personally? Do they consistently pray for the Vietnamese people to come to Christ? Would they be willing to move to Vietnam in order to reach the millions of Vietnamese that have never heard the gospel? This is a different way of living. As followers of Jesus, we are not afraid to make friends with our Muslim neighbors and to attend their mosque with them. We intentionally frequent international food restaurants with the purpose of meeting representatives of unreached people groups. We can point to places on a world map that most people have never heard of. We invite international students to our homes during holidays. We go to some of the most dangerous places on the planet. If God truly created the nations, what should our response be to that? Our lives will look different than even many people who attend our churches and racist jokes will no longer be funny. Since God created and loves the nations, He sent His only Son, Jesus, to the nations, who in turn sent His followers to the nations. This is God’s pattern. The question, then, is are we participating in that pattern or merely acting like the rest of the world. let the sea and all that fills it resound. This particular passage of scripture has been quoted often and has been made into songs. 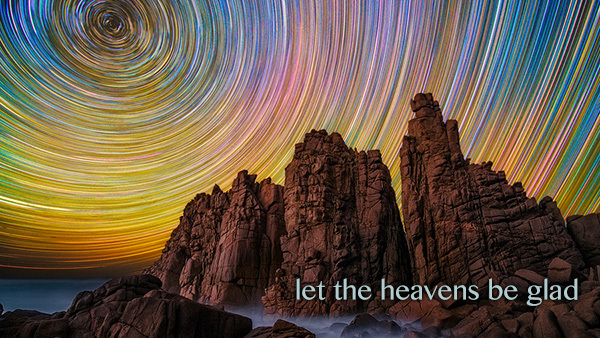 It talks about how the beauty of the creation of God cries out about His glory. It attests to the fact that we should be able to look at this beauty and know that there is a good God. From now on allow the beauty of God’s creation to remind you of the fact that there are literally millions of people trapped in darkness. Let it spur you on toward opening your mouth in order to bring God glory by telling the nations the gospel story. See the resurrection in the sunrise and know that many do not believe. Lift your eyes to the mountains knowing that God is all-powerful and that He can and wants to use you to change the world. Look to the sunset and allow it to remind you that the days are coming to a close and that our mission is urgent.